An interview from the 2018 NAB Show in New York City with Skip Levens of Backblaze. Founded by a team of serial entrepreneurs with security, scalability and usability backgrounds, Backblaze's mission is to ensure that all computer data is backed up. For nearly a decade, Backblaze has built and operated its cloud storage service, storing over 150 petabytes of customer data and restoring over 10 billion files. 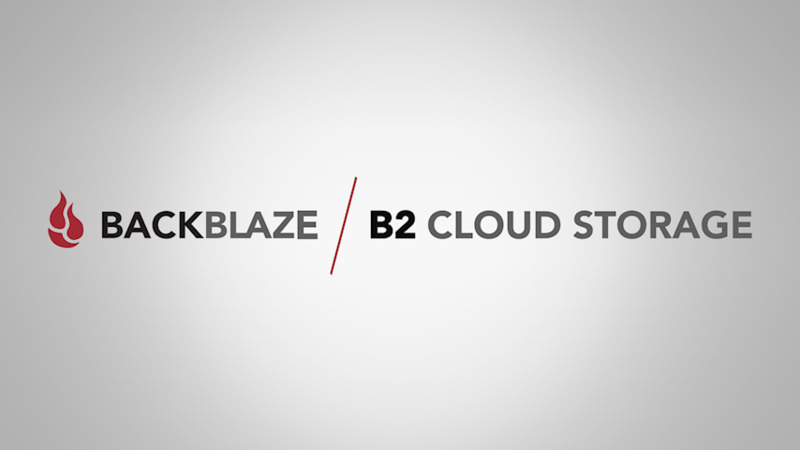 Backblaze, a leading cloud storage service provider, talks with us about Backblaze B2 Cloud Storage, their robust, instantly available, cloud storage solution. Backblaze B2 Could Storage is similar to Amazon S3 or Microsoft Azure, allowing you store unlimited data in the cloud, but does so for 1/4th the cost: $0.005 GB/month for storage, free uploads, and $0.05 ($/GB) for downloads. - Upload and download data easily using a Web interface, our Restful API, or a Command Line (CLI). - The data stored is instantly available there are no offline or nearline delays. - Unlimited storage that you only pay for what you need. There are no pricing tiers for how much data your store it is simply $0.005 per GB per month. - Robust documentation is provided free, including a Quick Start guide and code examples in curl, Java, C#, Python Swift and Ruby. Backblaze B2 Cloud Storage is built on the proven Backblaze Vault and Backblaze Storage Pod infrastructure that is currently storing over 150 petabytes of data. Backblaze B2 Cloud Storage joins Backblaze Personal Backblaze and Backblaze Business Backup in the Backblaze product line.